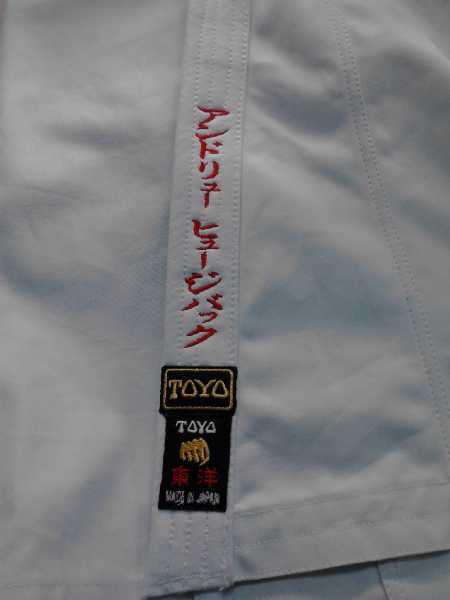 Toyo Karate Uniform - Japanese Canvas (white premium karate gi)..
Limited production ! Heavy Weight 100% Cotton Finest No. 10 (approx. 15oz.) 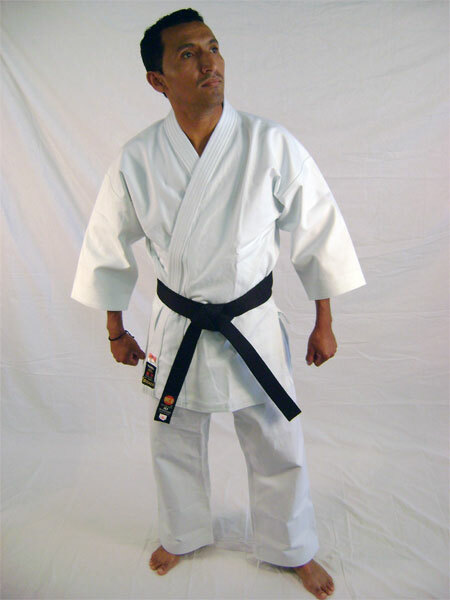 Japanese Canvas Karate Uniform. 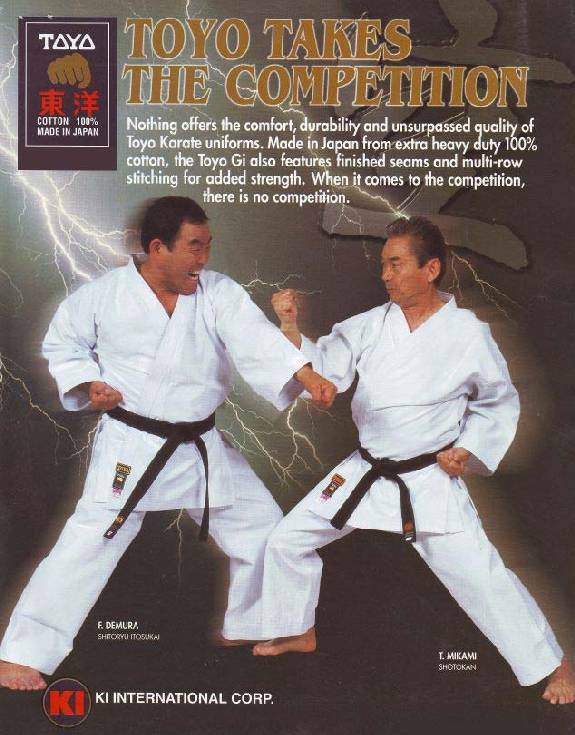 Needless to say, this Karate uniform is one of the best Japanese canvas uniform in the market. Finest quality yarns are used for reinforcement stitching on the jacket and pants to offer strength and durability. 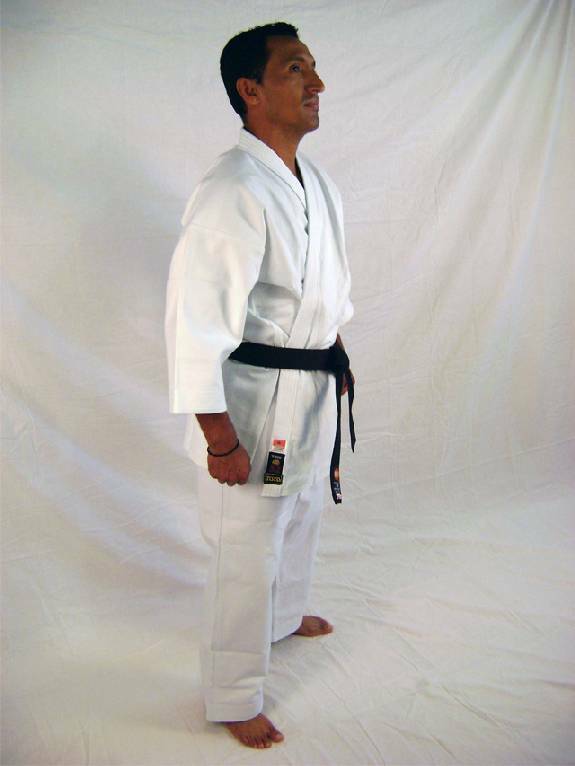 An ideal Karate uniform for advanced practitioners, top competitors, and instructors. 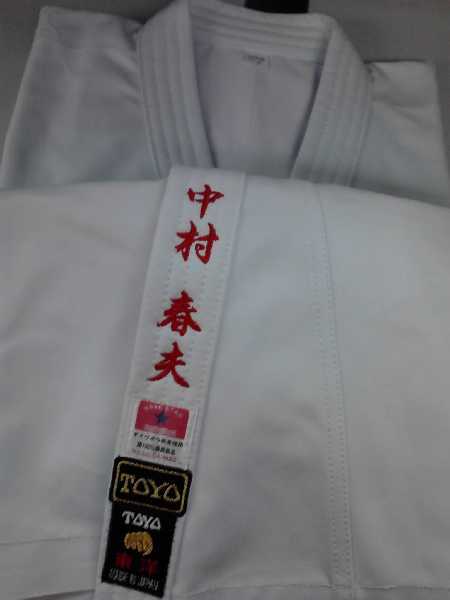 There is options to embroider your name on lapel and pants. We can do it in Kanji, Katakana or English letters. Please order uniform, then submit Embroidery Order Form via Fax or email attachment.